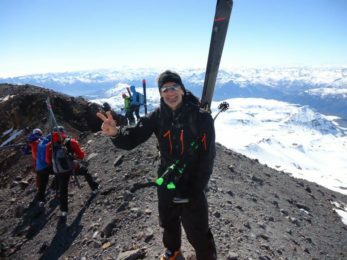 A great opportunity to go ski touring in the highest volcano of the region: the Lanin Volcano. During 2 days, Eduardo (a local IFMGA mountain guide) will take you to its summit and make you enjoy the best ski descents. If you’re looking for an Andean spot to ride down long slopes, the Lanin Volcano is the perfect place! 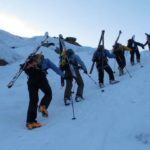 Join me on this 2-day ski touring adventure in the Lanin Volcano area. Just in the border between Argentina and Chile, it’s the highest volcano of the region. With its 3717 meters above sea level, the Lanin Volcano offers a unique surrounding nature and amazing ski touring itineraries. Furthermore, from its summit you will admire all the Argentinean pampa as well as the Chilean centennial forests and its pristine lakes. I think that this ascent and descent of almost 2,000 meters will leave the best images in your memories. As for the itinerary, we will leave Pucón and take a transfer to the Lanin Volcano base. Once there, we will climb to the high camp. In the second day, we’ll reach the summit and ski down through amazing tracks. Then, we will return to Pucón. I recommend to come to this region between the months of August and October, during the late winter season. This period of the year offers perfect snow conditions in the Andean mountains. I can take with me a group of 6 guests. All participants must be safe skiers in all kind of snow. In addition, a good fitness level is also mandatory. Contact me for more details or if you want to book your place for next departure dates. I will be here, waiting for your message! IFMGA/UIAGM Mountain Guide from Chile. Trekking, rock climbing, ice climbing, backcountry ski courses as well as guiding, expeditions and ascent to the most famous volcanoes in Chile. You can enjoy a multi-sport trip and why not also a deserved relax in hot springs as Termas Geometricas and all this in the loneliness of many of the places where we are going to travel. An invaluable treasure to your hand thanks to Volcanes del Sur Expediciones. 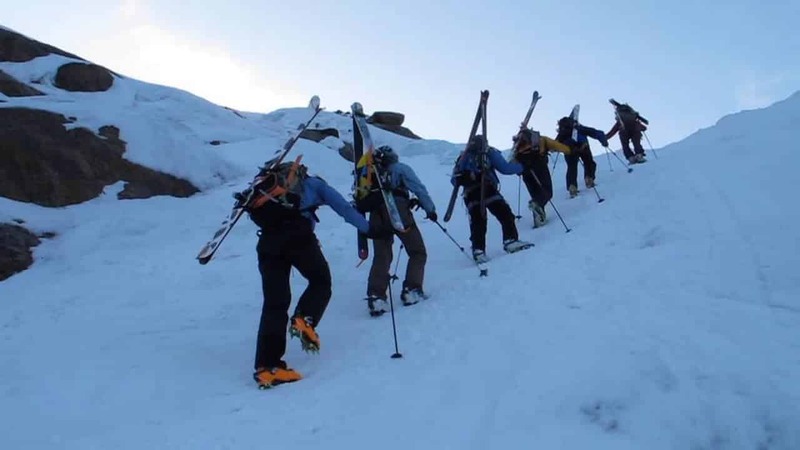 Ski Touring - 15 days - Interm.